A new chapter in the short history of the Florida Atlantic Owls football program began in 2011 when they moved into a new stadium. For ten seasons the football team played at Lockhart Stadium, a stadium originally built for high school football. The Owls, led by Coach Howard Schnellenberger, on the field, helped the team off the field by leading the push to have a new stadium built for the football program. Construction of the $70 million facility began in 2009. 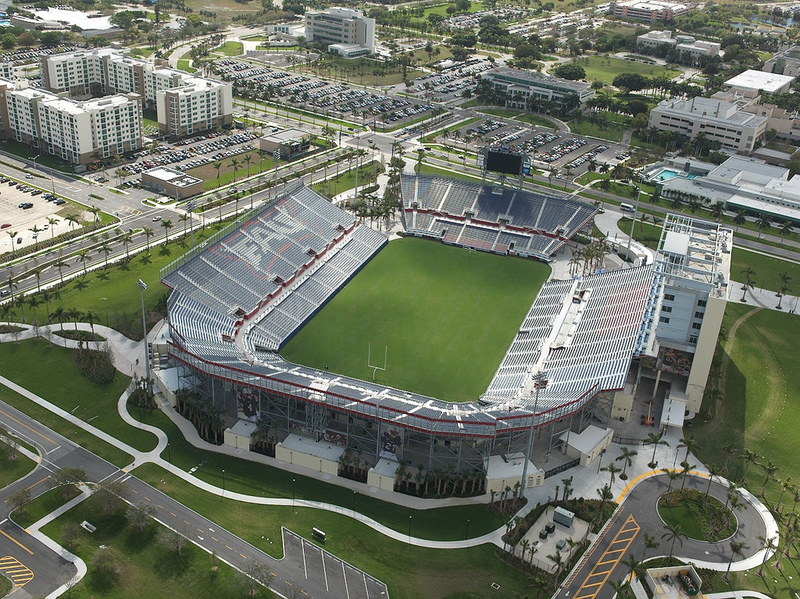 The stadium was built as part of Florida Atlantic’s Innovation Village that includes the stadium, residence halls, retail shopping areas and a convocation center. The stadium has a seating capacity of 30,000 that includes 24 luxury suites and 5,000 club seats. The Owls played their first game at the stadium on October 15, 2011 against Western Kentucky.